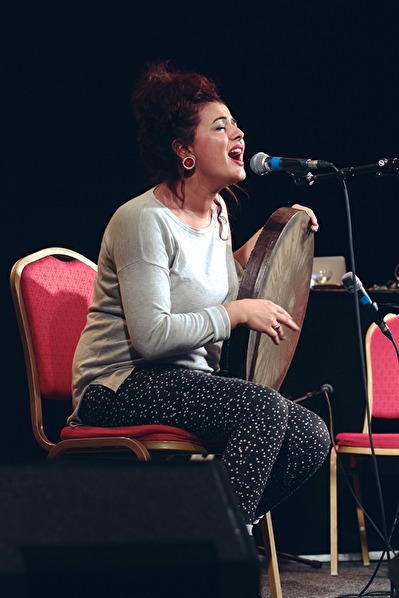 Music Xchange Forum is a three day workshop for female musicians and organisers from Sweden and the Middle East. Coming together to empower, inspire, network, share experiences and build capacity to strengthen our voices and freedom of expression. ** Representation, politics and gender. How do I chose to present my self as an artist and as a woman, what narrative do I tell? * Outer and inner censorship – what does it look like today? What can we do about it? * Possibilities to strengthen womens presence on our stages – discussion between programmers. The workshop is a continuation of our former workshop Democratic Exchange Forum. Arrivaldate to Malmö 16th of January 2018. Workshop 17 - 19 January 2018. Re:Orient will pay the costs for travel, visa and lodging for selected Middle eastern and Swedish participants. Due to the economical and practical limitations there will be a selective process and all applicants will know if they are selected before the end of October 2017. To apply please use the APPLICATION FORM. Deadline is 20 September 2017. To be considered for selection you are between 25 - 45 years old and have documented experience of working in the music industry.